FAYETTEVILLE, Ark. 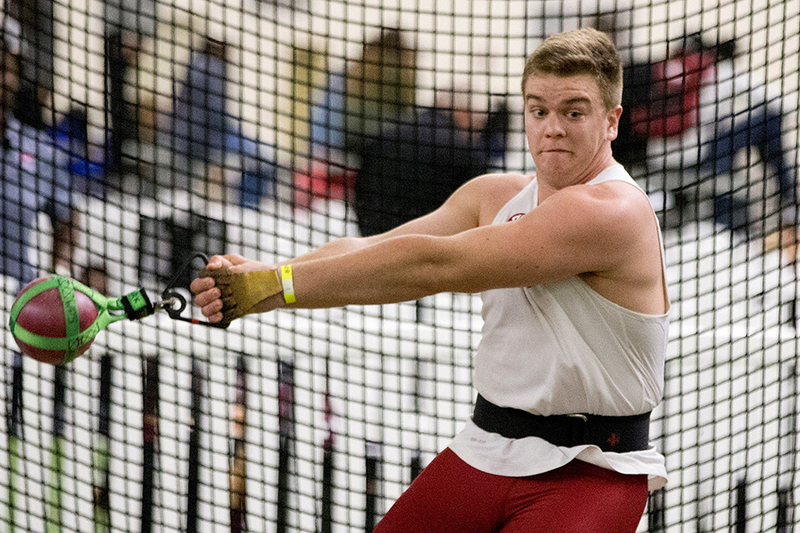 – Erich Sullins turned in his second-straight win this season in the weight throw as Arkansas hosted day one of the Razorback Invitational Friday night at Randal Tyson Indoor Track. Sullins, who rewrote his school record mark at the season opener, captured the event title for a second straight time this season finishing the day with a best of 20.07m (65-10.25). Gabe Moore and Derek Jacobus got the day started with the opening events of the men’s heptathlon. Moore currently leads the competition with a day one total of 3,399 points that includes a personal best of 15.53m (50-11.50) in the shot put. Jacobus is currently in third-place with his day one total of 3,105 points that includes a PR of 7.02 in the 60-meters. 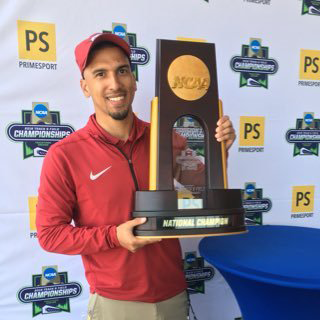 Razorback senior Roy Ejiakuekw led the men’s squad in the 200-meters turning in a fourth-place performance running 21.14 in the one-lap race. The men’s Distance Medley Relay of Ethan Moehn, Nick Hilson, Chase Pareti, and Matt Young combined to run 9:46.50 on the night finishing second. Arkansas’ time would’ve been led the nation entering this weekend. Laquan Narin battled it out on the runway in the men’s long jump, finishing eighth with a best of 7.50m (24-7.25). After day one of competition, Arkansas is currently tied for fourth place with 24 points through six events scored. The Razorbacks return to Randal Tyson tomorrow morning as day two of the Razorback Invitational gets underway at 11:25 a.m with the men’s heptathlon.